It wouldn’t be an understatement to say that MK is one of the most accomplished and decorated house artists on the global scene today. After initially making a name for himself by producing a string of outstanding hiphop, R&B and pop records, MK found his way into the studio’s of Detroit techno legends like Juan Atkins, Derrick May and Kevin Saunderson. He soon became the go-to-guy for killer club mixes by the mid-1990s, with tracks like his refix of ‘Freek N You‘ for Jodeci, ‘Misled‘ for Celine Dion, ‘The Best Things In Life Are Free‘ for Janet Jackson, ‘Can You Forgive Her‘ for Pet Shop Boys, as well as remixes for Mary J., Jody Watley, M People, M.A.W., Blondie and Brandy were released. Today MK is doing better than ever. His single ’17’ hit #7 on the UK singles chart, it debuted at #4 on Australia’s Aria Club Chart and peaked at #5 on iTunes. Clocking over 10.5 million YouTube plays and a staggering 27 million on Spotify, ’17”s Spotify daily plays peaked on NYE with a stupendous 462k hits in 24 hours. Further ascending wherever possible, last month MK took over Ministry of Sound’s Apple Music & Spotify #DanceNation playlist, he was added to the Dirtybird Campout East and he sold out dates in London, Liverpool and Newcastle. There is no denying that MK, is hands down one of the greatest electronic producers the industry has ever seen. Revered producer, remixer and DJ, MK’s storied background is one of long-term creative development. His roots are pure Detroit, but if you dig a little deeper you will find that MK’s musical path is made up of seamless transitions from house and techno to hip-hop and R&B, only to return to house during recent years. MK is currently finalizing his long awaited artist album, which includes collaborations with vocalists Becky Hill, Milly Pye, Anabel Englund, and a host of others yet to be revealed. Incredibly, MK’s discography includes over 500 titles that bear the stamp of his signature style. These tracks range from his iconic worldwide hits to the underground aficionado’s secret dancefloor weapon. As a teenager growing up amidst a tough industrial landscape in Detroit, he found his way into the studio with the city’s nascent techno legends Juan Atkins, Derrick May and Kevin Saunderson. Those early studio sessions provided MK with the lessons and tools he needed to make timeless tracks like ‘The Rains,’ ‘Burning,’ ‘Always,’ and more. By the mid 1990s, Marc had become the go-to guy for killer club mixes, thanks in part to the monumental success of his million plus-selling ‘Push The Feeling On’ remix for The Nightcrawlers, which in reality was more of a complete overhaul of the song. In 2013, MK would do the same for ‘See Right Through’ by Storm Queen, which went to #1 in the UK singles chart. Soon after the worldwide success of ‘Push The Feeling On,’ the remix offers from major and indie labels rolling it, and tracks like his refix of ‘Freek N You’ for Jodeci, ‘Misled’ for Celine Dion, ‘The Best Things In Life Are Free’ for Janet Jackson, ‘Can You Forgive Her’ for Pet Shop Boys, as well as remixes for Mary J., Jody Watley, M People, M.A.W., Blondie and Brandy were released. Following this, his desire to explore other genres of music led him to delve into hip-hop, R&B and ultimately pop. During this time, he worked with Will Smith, Quincy Jones, Diane Warren, Tyrese, Brandy, and Pitbull to name a few. 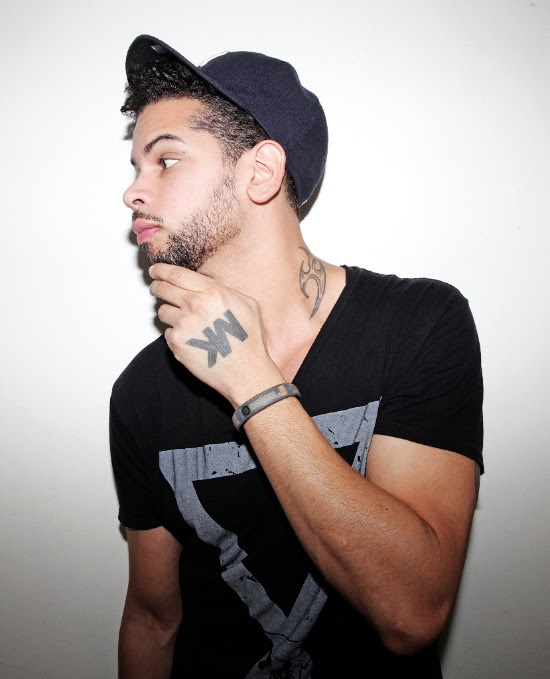 It was a chance connection with Jamie Jones and Lee Foss that led to MK’s return to dance music. Following the success of his Stormqueen, Marc’s hot streak continued with tracks like ‘Forward Motion’ for Hot Natured, Lana Del Ray’s ‘Blue Jeans’ and ‘Summertime Sadness,’ his masterful UK #4 remix for Wankelmut’s ‘My Head Is A Jungle,’ and mixes for Sam Smith, Pharrell, Paloma Faith, Ellie Goulding, Disclosure, Haim, Mary J. Blige, Diplo, Rudimental, and many more. With this homecoming to dance music, MK returned as a DJ as well as producer. On the live front, MK’s signature chopped up, piano-laden sound started to become very recognized, and he has since become one of house music’s most popular DJs in the world. With his sights set on the imminent album release, MK recently re-launched his iconic label and event brand Area10. He is currently on tour this summer with his Area10 Warm Up Sessions, including live stages at Creamfields, We Are FSTVL, dates at Together at Amnesia, Camp Bisco, V Festivals, Parklife as well as an Area10 takeover at Pacha Ibiza and numerous North American club dates.